On assignment to write/produce/direct a mini-documentary for the humanitarian volunteer medical NGO called CHIMES (Calif.-Honduras Institute for Medical & Educational Support). 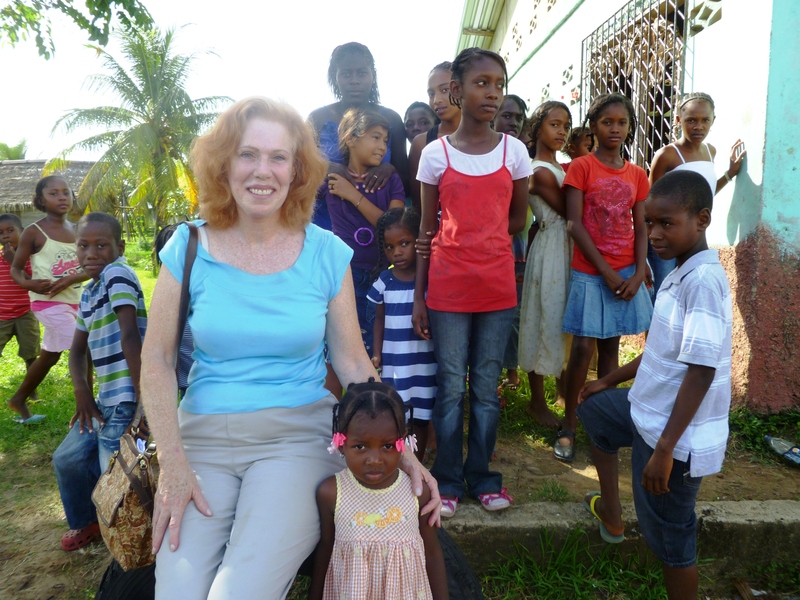 CHIMES brings free medicine from the US and organizes missions of volunteer medical professionals from the US, Cuba and Honduras who together deliver health care to the Garifuna people. This is a distinct ethnic group living in the poorest region in this second poorest country in the Western Hemisphere. The village, Ciriboya, is so remote that most have never seen a doctor or a pill and they die of treatable diseases because access to the village is so challenging. 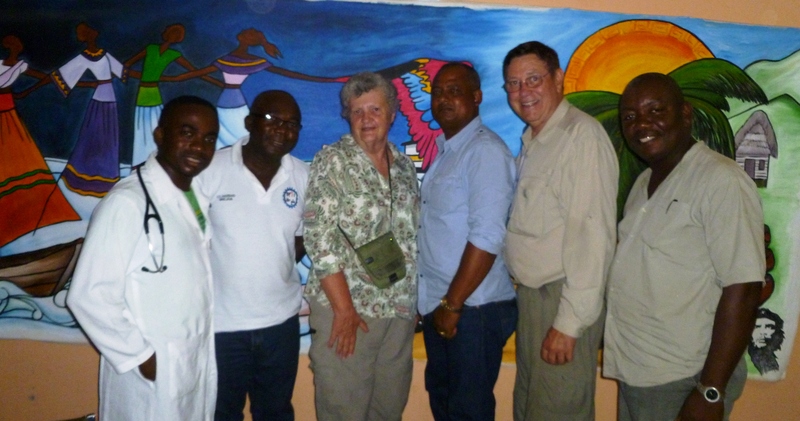 CHIMES raised funds to buy building materials for the Garifuna Medical Center in Ciriboya where medicine and health care are provided free of charge (free clinic). 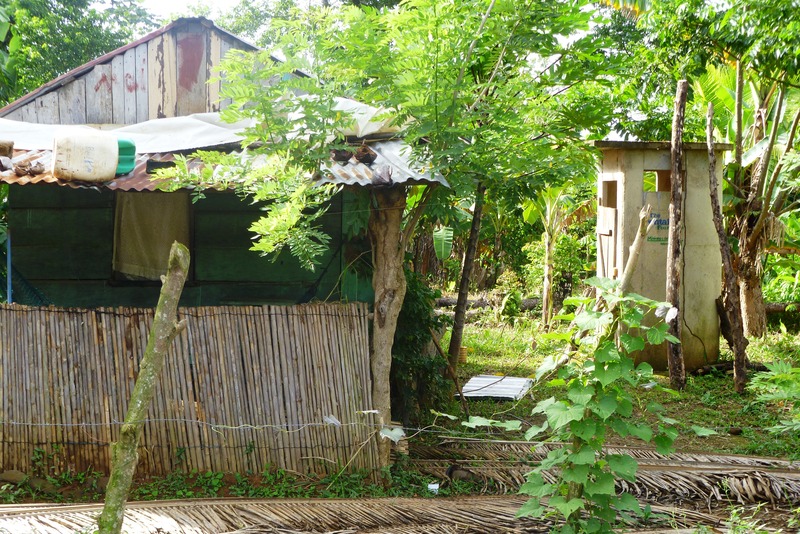 The entire community helped build the modest center to serve remote people for miles around. The Garifuna people descended from a blend of Africans and indigenous Caribbean Indians (Caribs). Two 17th century Spanish slave ships bound for the West Indies shipwrecked off St. Vincent Island; the African captives swam to shore and to freedom. They integrated with the Caribs forming a new ethnic group with its own distinct language and culture. Also called Black Caribs, they were later rounded up by the British and transported to Honduras. There are some 200,000 Garifuna today, mostly in Central America. Proud of their heritage escaping slavery, they nonetheless live in poor, isolated regions with impassable roads, are ignored by the Honduran government and discriminated against by the Latino population. 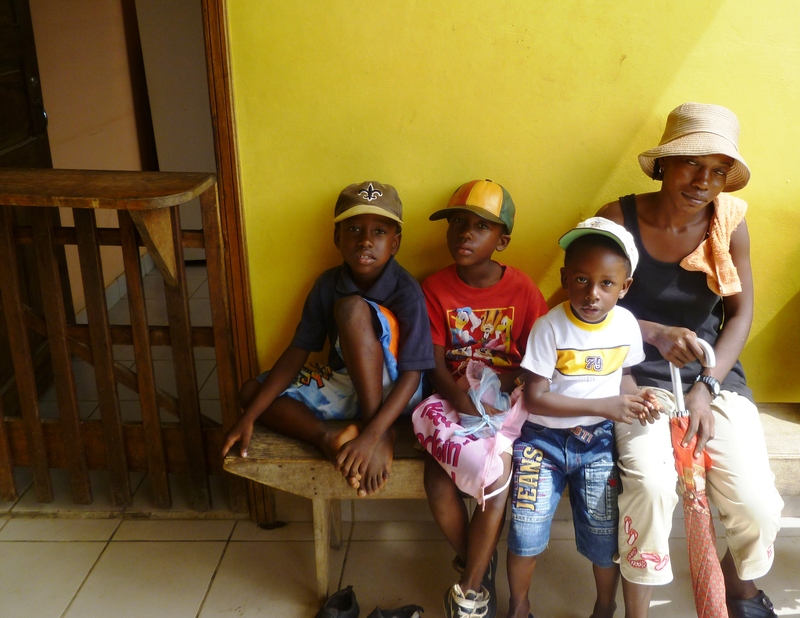 They are bi-lingual (Garifuna and Spanish) and some speak English. My Spanish served well enough. 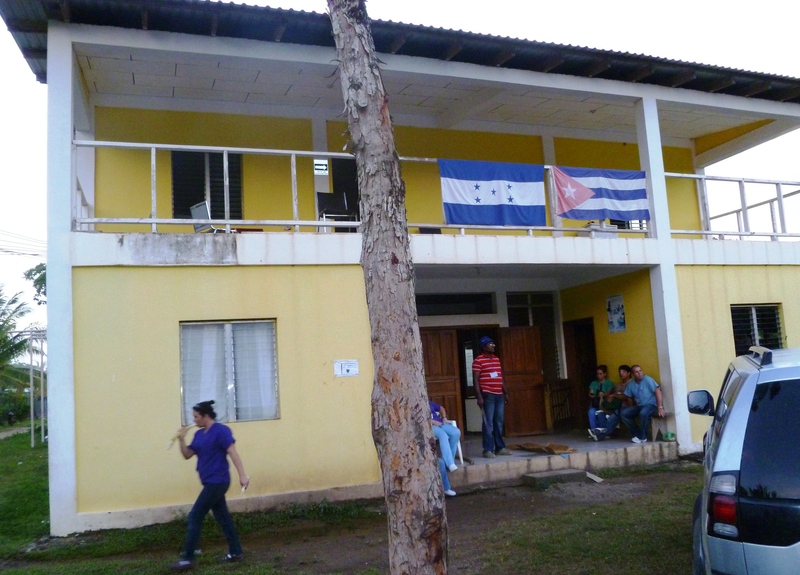 The Cuban government responded to their need for medical professionals by providing several hundred Honduran Garifuna with full medical scholarships to study for a medical degree at Cuba’s Latin American Medical School (ELAM). Upon graduating, they committed to return and serve their people. 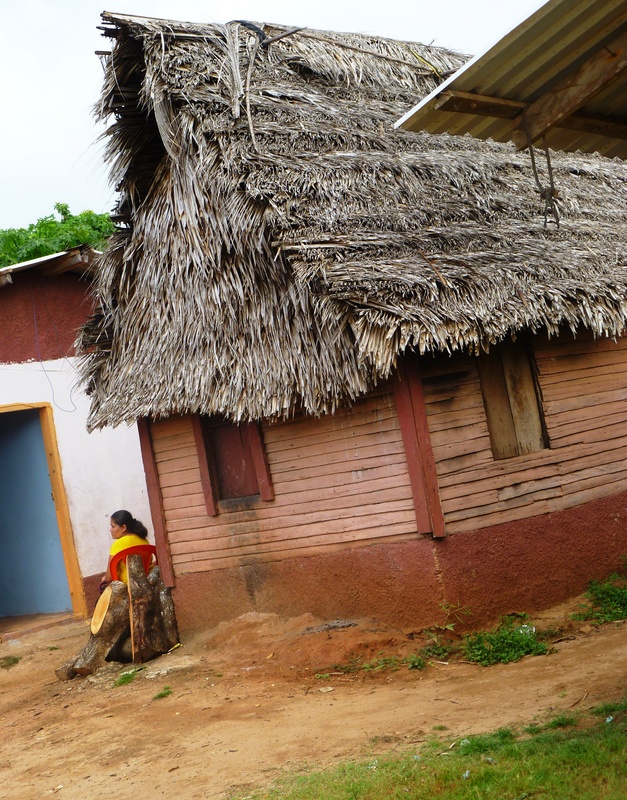 CHIMES is helping to build outpost clinics where the Honduran Garifuna doctors can deliver health care to their people living in remote jungle areas. The cameraman and I are warmly greeted at the airport by Bill Camp, founder of CHIMES, and his wife Katherine along with US doctors and nurses volunteering on this medical mission. I bring a carton of OTC medicine donated by PL Developments; the doctors arrive with many cartons and tubs of medicine. Bill drives us in an air-conditioned van for three hours along a single lane paved highway. 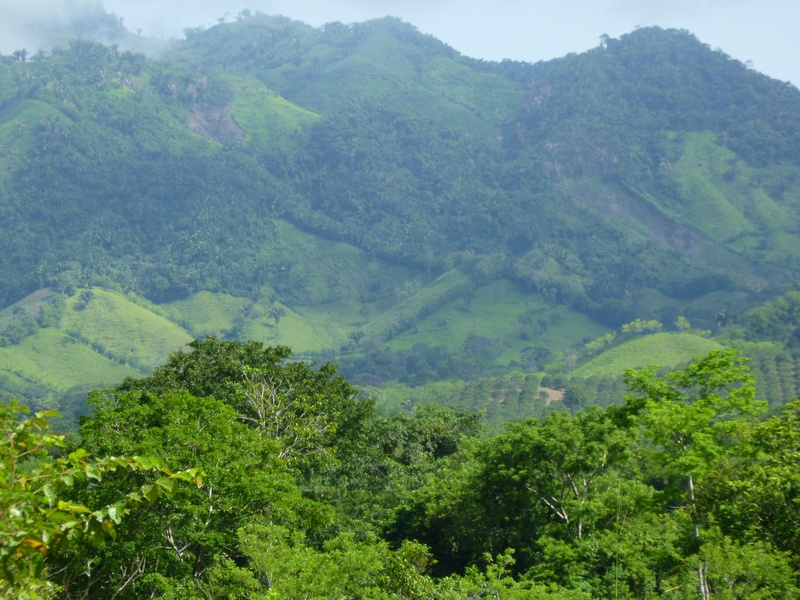 We pass gorgeous countryside, lush green, thick with palm trees, vegetation, crops and rolling green hills. By contrast, the primitive living conditions, thatched-roof huts and rubble are distressing. People sit in the shade idle, children have nothing to play with, adults have no jobs. Others walk or bicycle with heavy sacks of goods along the dangerous shoulders of the road in the sweltering heat. We sleep overnight at the air-conditioned La Quinta Hotel in the city of La Cieba, the most comfortable place on the journey. The next morning we start out on paved highway for awhile which turns into crushed rocks. The road is bumpy and potholed for another hour, but we are warned to brace ourselves for a lot worse. Sure enough, the further away from the city, the more remote the region, the bigger the rocks and the greater the potholes in number and depth. While bumping and grinding over impassable roads for 4 hours, I marvel at the dedication of Bill and volunteer medical personnel who soldier this 8 ½ hour road trek several times a year! It is exhausting and dangerous. I’m concerned about the tires holding up on such hostile roads; if one blows we are stuck in a remote region. Only a few pick-up trucks an hour are passing us. 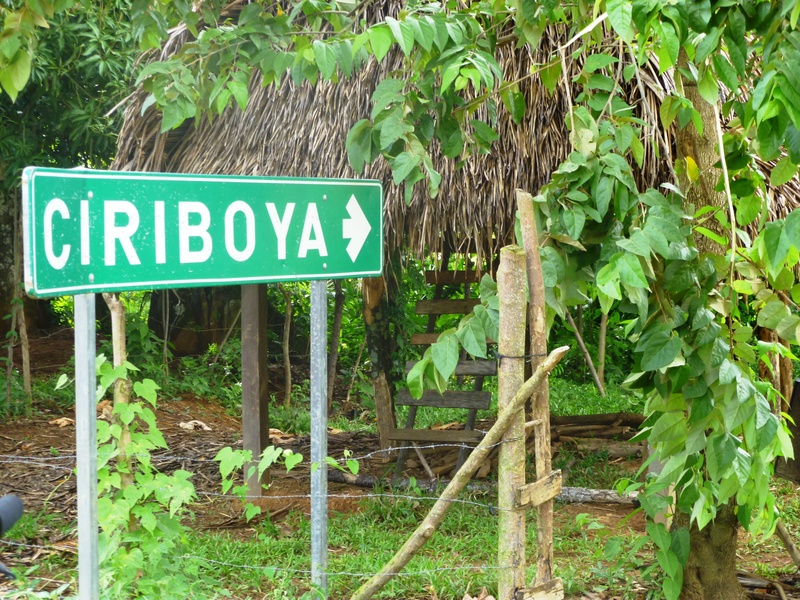 We arrive in Ciriboya on the Caribbean Sea via impossible roads dotted by primitive mud and wood huts. The one-lane driving bridge over a swollen stream to our destination is broken in pieces. So Bill drives our diesel van down into the muddy water, which comes up to the top of the tires as we cross to the other side. I’m thinking we won’t make it, the van will fill with water and we will all die. Miraculously we cross to the other side. Non-diesel vehicles don’t make it. And that’s how we enter and exit the road daily, confident we have to do it because the government will never show up to make bridge repairs. Except for beds and indoor plumbing, our accommodations lack everything else including air conditioning, screens on windows and electricity at night. We were advised to bring our own towels, sheets, pillows, soap, shampoo, toilet paper, special bug spray, flashlights, Cipro and anti-malaria pills. Everything I pack will be donated to the Garifuna people when I leave. 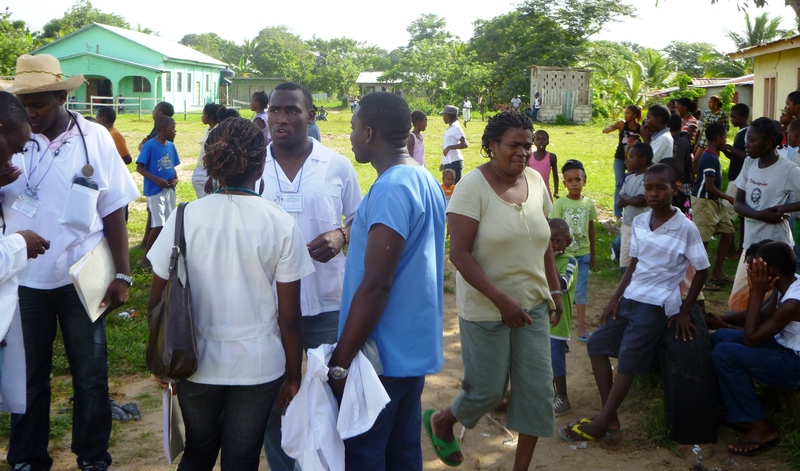 Some 120 volunteer medical personnel from the US, Cuba and Honduras (Garifuna) are convening in this remote area of Honduras for a 10- day medical conference conducted by Dr. Luther Castillo Harry, a Garifuna MD and medical director of the Garifuna Medical Center. CHIMES, AHMEN and MEDICO are among the participating NGOs who are also setting up a medical brigade. The medical seminars are conducted in small community center buildings, where information about treatment methods is shared. Hundreds of locals line up outside in the heat at the intake doors to see doctors and nurses from the three countries working in the medical brigades. They need health services for lacerations, dental problems, severe pain, bad backs, malnutrition, stomach parasites, malaria, pre/post natal care, pediatrics and more. Some medical personnel make house calls to deliver services. Bill has committed to help Dr. Luther Harry deliver medicine and health care to his people. 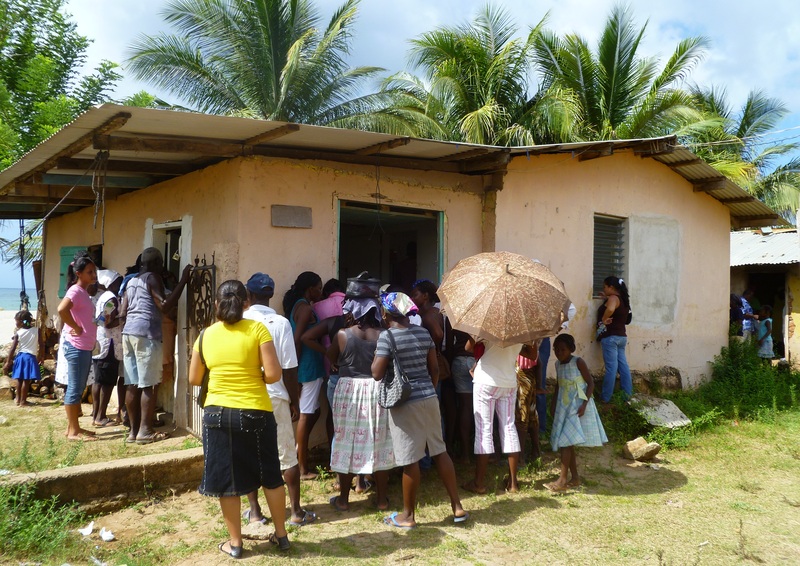 At the modest Garifuna Medical Center, locals are already lined up outside to see medics. 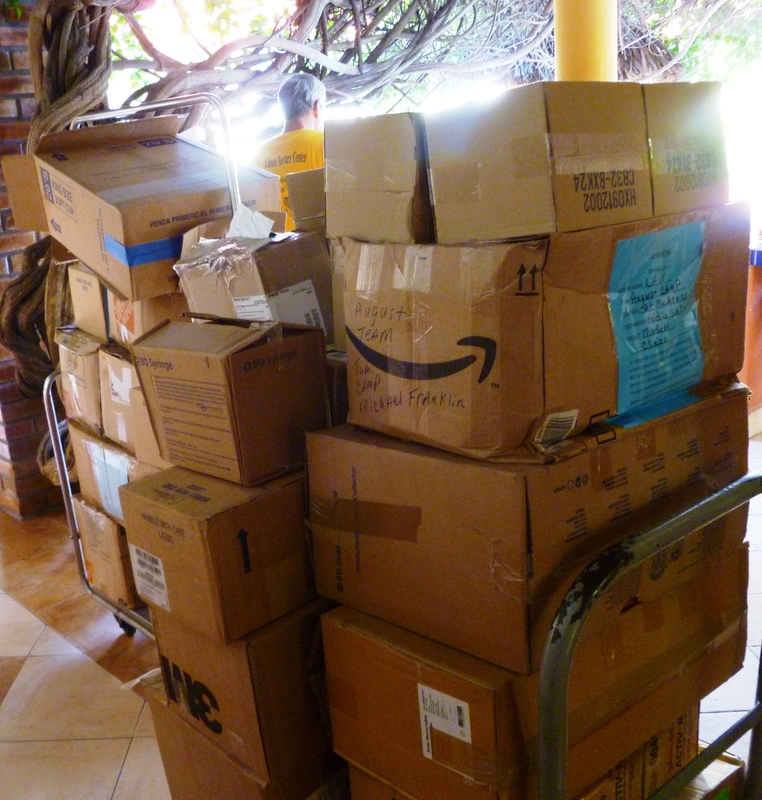 Cartons of donated medicine are loaded from the truck to the pharmacy, which is not air conditioned, and medicine is dispensed to waiting patients. 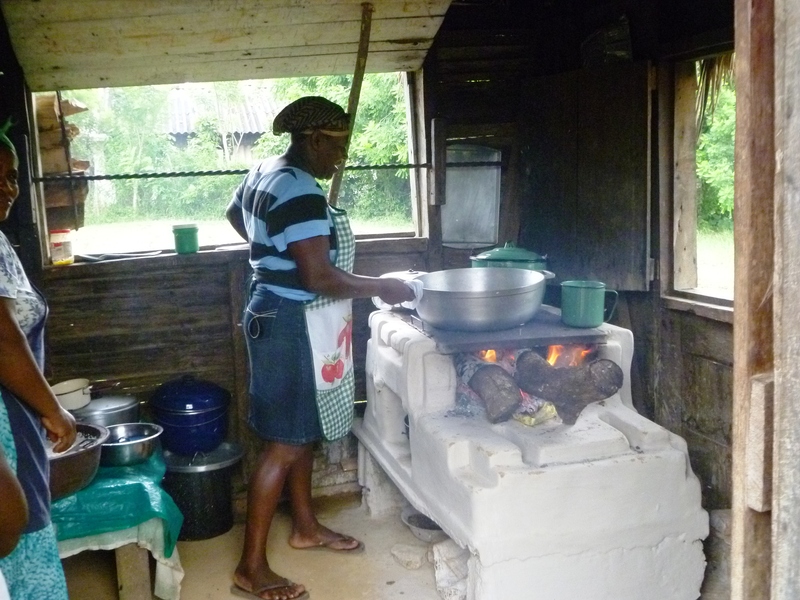 There are no restaurants here, so Garifuna women cook three meals a day for 120 conference attendees. The food is tasty, typical Spanish dishes. It remains a mystery how they pulled it off in primitive conditions. 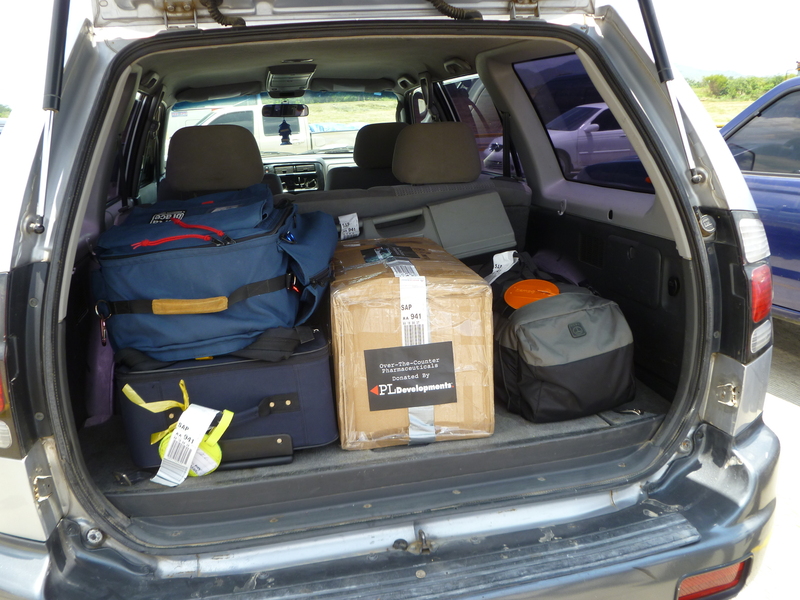 After a couple of days videotaping, we must head back to Progresso a city near the airport. It’s an 8 ½ hour journey without stopping. We are in a different truck with a different driver and thanks to Cipro I’m gratefully recovering from last night’s illness. Once again, the potholed rocky road presents a four-hour roller coaster nightmare before rubber finally meets asphalt. 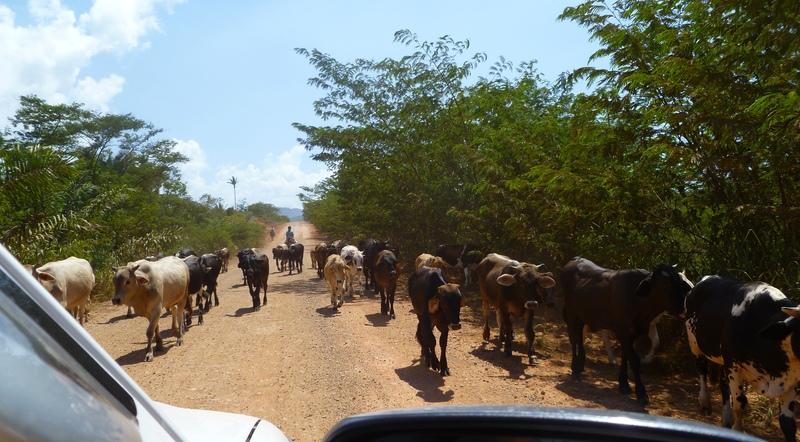 I conclude that for the isolated Garifuna, access to health care must start with a paved road, but the Honduran government will never build one. Even if they don’t, volunteers will always come.